It’s here! Lacewood is available for pre-order! Visit HERE for order links! I’m delighted you stopped by for a visit. If you’re looking for classic fiction with a touch of romance, you’re in the right place! My books, whether historical or contemporary, are clean, old-fashioned love stories that satisfy avid romance enthusiasts, while containing enough action, adventure, and suspense to appeal to male readers as well. The themes I write about are honor, courage, duty—and of course love, the type of enduring love that can be found in the pages of the old classics. Whether writing about the Civil War or America’s current War on Terror, my’ heroes are everyday men and women who do extraordinary things. From Civil War spies to modern-day women living quiet lives of desperation, I write books with the goal of keeping you thinking about the characters long after the last page is turned. So what will you find here? Characters from the past and present who are dealing with formidable challenges, but somehow find the courage to overcome them. We live in tumultuous times, but people of honor, principle, character and integrity do exist. You’ll meet them in my books. And I hope they’ll convince you that enduring love and happy endings are possible. Thanks for dropping by. I’m glad you’re here! Please go here to see the awards my books have won. I'm pleased to announce that Noble Cause has been named a Bronze winner in Foreword Magazine's Book of the Year Award contest in the Romance category. Magical Holiday History Tour Winner! Congratulations to Jonette Ferris for winning the signed copy of Noble Cause in my Magical Holiday History Tour! Thanks, Jonette! Hope you enjoy! Book Trailer for MEANT TO BE wins! Sign up for my newsletter by subscribing to the mailing list on my Contact Page. Jessica James featured in Southern Writers! 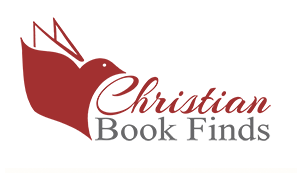 Click HERE to see my page on Family Fiction – a great site for Christian Fiction readers! Jessica James is a Top-Shelf Author on Cocktails and Books. Click HERE to see her page. Would you like a signed copy of a book? Just use the CONTACT tab at the top of this page and scroll down to make your request.